Amsterdam, Netherlands – Anderson .Paak is on top of the world right now. Following his recent Grammy Award win for “Bubblin’,” the multi-talented artist helped launch the #LoveThyBar campaign with Jameson Irish Whiskey, while simultaneously touring overseas. Armed with his signature smile, the Aftermath signee exudes an air of confidence wherever he goes, something he credits to his mother. But Paak didn’t always feel that way. He admits he didn’t grow up with that kind of assertiveness. It was music that ultimately provided a well of self-esteem. Wishing my big bro a happy G day! Words cant express how grateful I am to call you friend. With Oxnard out, Paak is focused on releasing his next effort, Ventura, which will mark his second album executive produced by Dr. Dre. When Paak was in high school, he actually told himself he would work with the N.W.A legend one day. When Dre and Paak initially hopped in the studio together to work on Oxnard, the Doctor wasn’t even aware the ambitious artist wanted to do two albums. “Ventura is a blessing,” he says. “I told Dre when we were maybe about 80 percent into the Oxnard record that I wanted to actually do two records and he started scratching his head. I was like, ‘Trust me, I got a gift.’ I knew we couldn’t have 30 songs on one album. But we couldn’t come to terms. 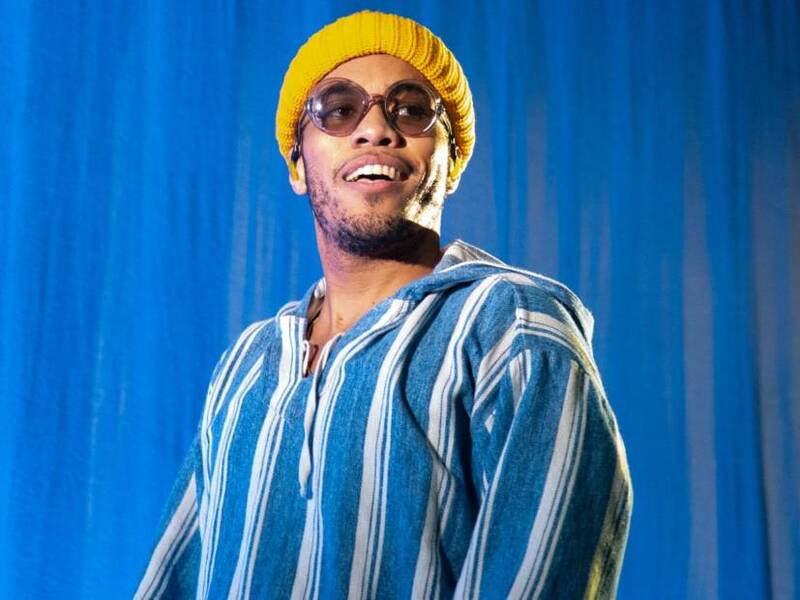 Paak says Ventura will differ from Oxnard in terms of lyrical content. Based on what he describes, it sounds like it will be much more introspective. “I started to see there were two different sides of this story,” he explains. “There was a group of songs that were more soulful and another group of songs that still had the soul and the funk, but they were just more gritty. I’m getting head in the car on songs [on Oxnard] and we’re talking about ‘Sweet Chick’ or we got ‘Tints.’ We got a lot of risky topics on that one. On Ventura, Dre also loosened up the reins and let Paak take more control. There’s a sense Paak is bursting with pride that his first album with Dre even saw the light of day. The Aftermath CEO has a history of shelving albums, which wasn’t lost on Paak. “I’m ’bout to put a whole album out again,” he says. “It’s gonna be not even six months apart or something. When I signed to Dre, everybody said, ‘You never coming out. You gonna miss your chance.’ But I’m about to go back-to-back on them and everything keeps going. Of course, he’s still Dre and if it has his name on it, you know he works very hard on it. Paak and his band The Free Nationals are embarking on a sizable North American tour next month. It includes a stop at Red Rocks Amphitheater in Morrison, Colorado, which will mark his first headlining show at the historic outdoor venue. Like Thundercat — who will be along for the ride — Paak was a good friend of the late Mac Miller. He says he could feel Miller’s spirit enveloping him while he was working on his albums and “absolutely” feels it all the time. Ventura is expected to arrive on April 12.